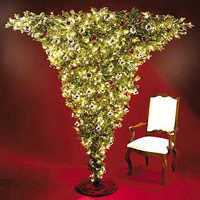 Today's artificial trees come in an amazing variety of styles, from flocked and colored trees in such outlandish colors as black, pink, and red, to upside down trees (which also surprisingly have old roots in Germany and Austria). Whether people use real or artificial trees, today they're almost always decorated with a combination of lights, ornaments, other foliage, and treats. 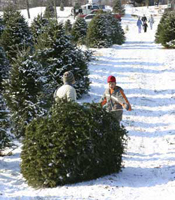 Most families around the world place presents beneath their trees to be opened on Christmas Eve or Christmas day, and you'll find them in nearly every place of business in the weeks before Christmas. 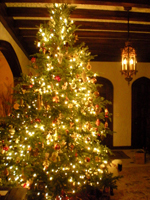 Throughout the history of the Christmas tree there's been plenty of controversy surrounding it, and the controversy hasn't ceased to this day!